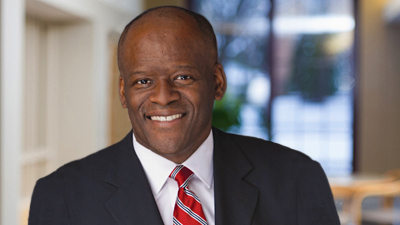 Kevin J. Armstrong, most recently general counsel for DST Brokerage Solutions in Minneapolis, has joined Mitchell Hamline School of Law as a Distinguished Practitioner in Residence. A financial services executive and attorney who counsels startups and other private entities seeking capital, Armstrong will serve as a mentor and a resource for students, particularly those interested in financial services and technology. Pershing Advisor Solutions, a BNY Mellon Company based in New York, and worked with major financial institutions including Morgan Stanley and Ameriprise Financial. “We are absolutely delighted to have someone of Kevin Armstrong’s caliber joining Mitchell Hamline School of Law. His expertise across a wide range of areas, from financial technology to securities issues, from blockchain technology to the latest financial product, will be a tremendous resource for our students and our broader law school community,” said Mark C. Gordon, Mitchell Hamline’s president and dean. Armstrong was included in Savoy Magazine’s 2018 list of the nation’s “Most Influential Black Lawyers,” and in 2013 he received a CUP Catalyst: Change Agent award from the Council of Urban Professionals. At Mitchell Hamline, he serves on the advisory board for the Gateway to Legal Education program, aimed at expanding access to the legal profession among underrepresented groups. Armstrong is an honors graduate of Rutgers University with a B.S. in management, and he earned a J.D. from Rutgers School of Law-Newark.